Will Aussie casinos get skill-based gaming machines? Posted on July 17, 2017 at 11:29 am. Casino game manufacturers and operators have started introducing skill-based gaming machines in a bid to attract a younger generation of punters to the casino floors, but Australians may not get access to the games anytime soon. Skill-based casino games combine the traditional pokie machine format with elements of modern video and arcade games, including shooter-style games, racing games and puzzle games. While luck still plays the main role in determining a win, the introduction of skill-based features aims to increase player adrenaline and excitement levels, while slightly decreasing the house edge. The objective of these games is to appeal to the millennial market – players who gave grown up with the advanced, highly engaging creations afforded by hi-tech gaming consoles like PlayStation and Xbox. Casinos have been struggling to appeal to this demographic of players, who aren’t attracted to the basic concept offered by electronic gaming machines. New bills have already been passed in some United States jurisdictions to allow the introduction of skill-based casino games. Land based casinos in Las Vegas and Atlantic City now house the skill-based games alongside their traditional electronic gaming machines, while the games have also been demoed in gaming conventions in Macau. Developers in Macau are now starting the licensing and application process to allow the games to hit the casino floors, with the hopes of expanding out across Asia. Whether or not skill-based games are ever introduced in Australian casinos is yet to be determined. Aussie gambling authorities are investigating the new game format to determine the potential problems these products could cause. The developments are being closely followed by the Victorian government and state gambling regulators. 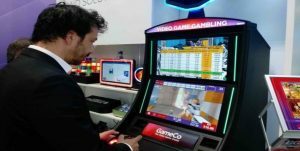 The Victorian Commission for Gambling and Liquor Regulation said the organisation was aware of the emergence of skill-based gaming machines, but that no application had yet been submitted to introduce the games in Australia. The Gambling Research and Treatment clinic at the University of Sydney is also conducting a study to see what harm skill-based gambling machines could present. Researcher Dr Sally Gainsbury said introducing a skill component could give players an “illusion of control” that was often presented amongst problem gamblers. At OnlinePokieGame.com, we often reiterate the golden rule that players need to be aware that poker machines are based on chance, and there’s nothing a player can do to influence the outcome of a spin. It is easy to see how introducing a skill-based element could cloud that judgement. Some casino industry experts believe electronic gaming machines won’t appeal to millennials no matter how innovative they become. At a recent gaming conference in Las Vegas, Rob Tercek, an executive consultant on strategic initiatives delivered a keynote speech about how casinos are failing to future-proof. Mr Tercek said, “When you compare mobile games to the casino games, the casino games disappoint. Players are now conditioned to play with a touchscreen or with augmented reality or virtual reality. To them, it (pokies) looks like something that was designed in the Soviet Union in the mid-1980s.